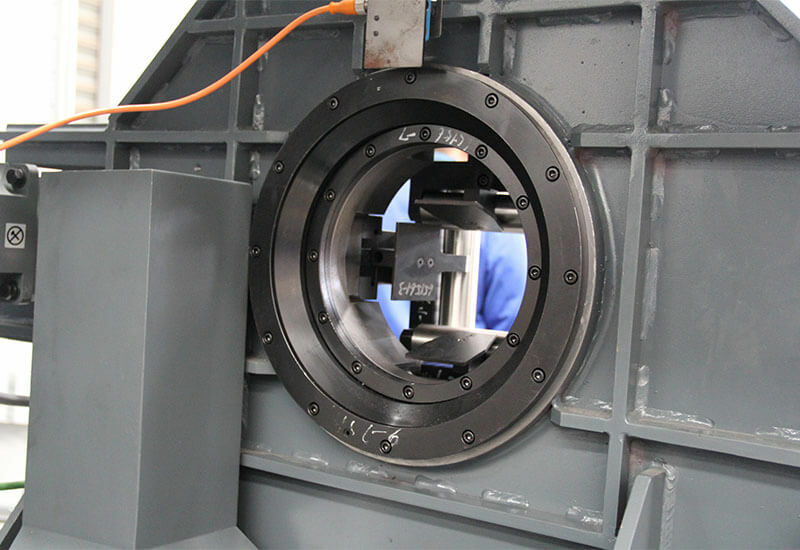 Self-centering feeding chuck, capable of round, square, rectangle and other kind of profiles’ clamping. 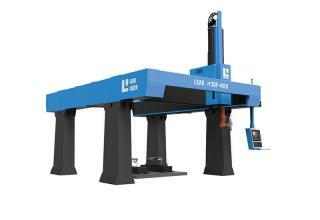 And clamping force can be adjusted manually or automatic. so it perfectly fits the requirement of small batch production, for mass production just need one time adjustment. Position reconfigurable assisting chuck, under different cutting status, the program can auto configure the position of the assisting chuck, to minimize the residual length of the material to save custom cost. 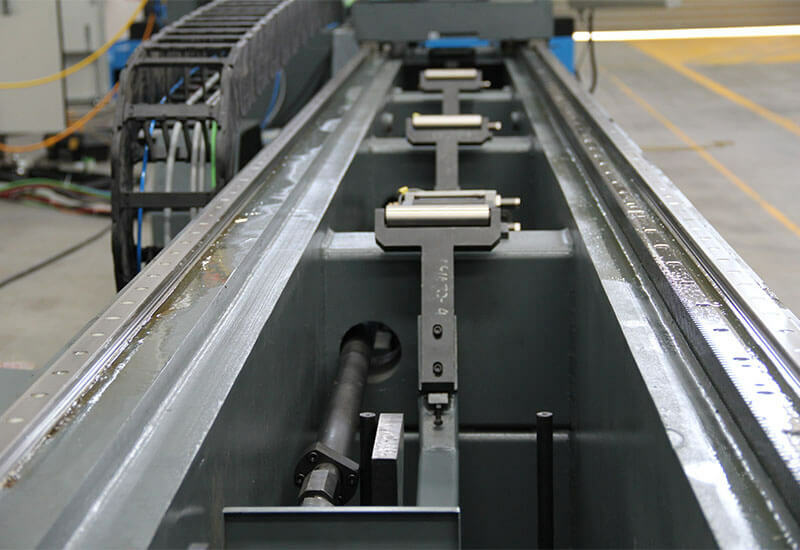 Material auto-alignment, auto aligning the material to the machine axis, avoid manual loading, which guarantee the safe operation and avoid collision between chuck and material. 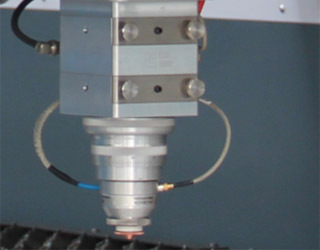 Real-time material supporting, CNC controlled material supporting axis will follow the contour of profile in real-time, to improve the machine accuracy, and can automated retract to avoid collision. 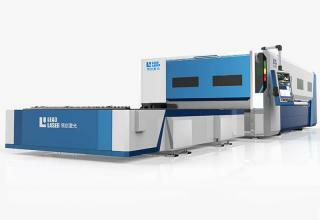 Fully enveloped cutting zone with big fiber laser proofed watching window to guarantee the safety of the operator. 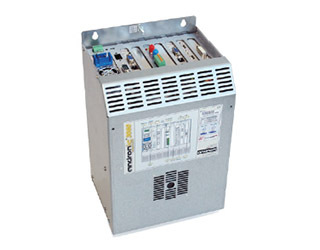 Auto lubrication, equipped with auto-lubrication system to simplify ordinary maintenance procedure. 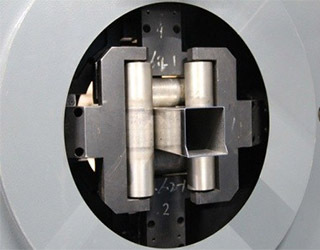 Self-centering feeding chuck, is capable for round, square, rectangle and other kind of profiles’ clamping automatically and the clamping force can be adjusted. The focus adjustment is motorized by an integrated capacitive distance sensor. 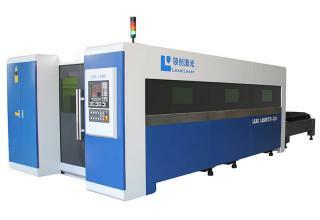 Even with irregular tubes, the laser cutting process parameters will be kept constant during the entire production. 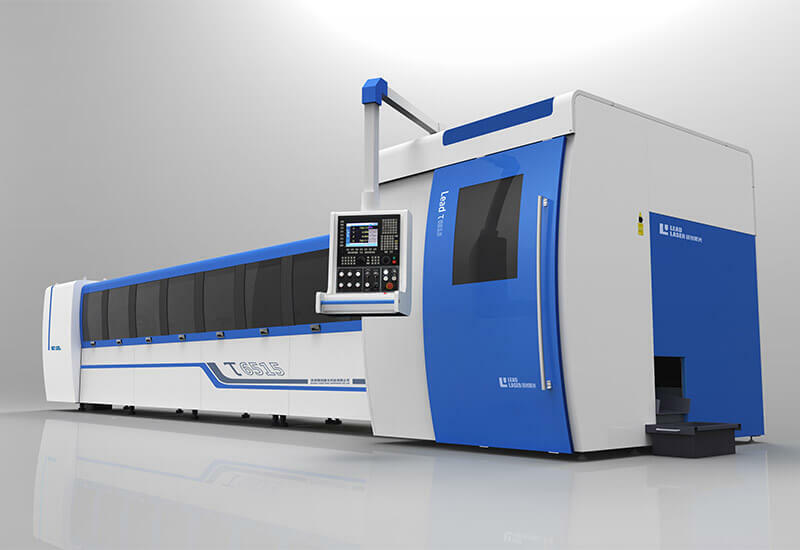 A powerful CNC lies at the heart of the Lead Laser tube laser cutting performance. All important laser components are integrated in one single closed-loop control system mastering every single aspect of the laser cutting process at a microsecond-level cycle-time. 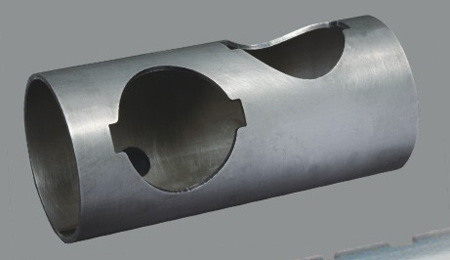 All tubes such as rectangular, round tube and so on available for cutting such metal sheet as stainless steel, carbon steel, copper, brass, alloy steel, aluminum, gold, silver, titanium and so on.